We invite principal investigators and members of their field teams and/or potential field staff to participate. The course is free of charge to the NSF-funded Arctic research community. We will provide lunch for all attendees for both days. Each offering is a two-day course (no overnight component) and the classes will take place from 8am to 5pm. We will not provide travel arrangements or funds, so attendees will need to make their own arrangements and pay for them as well. We will send additional information about the course logistics once we have the participant list and the location. 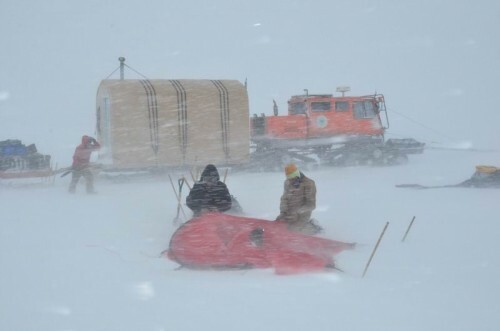 CPS is trying a new approach this year to see if we can provide Field Risk Awareness Training to more NSF Arctic field researchers and field staff. We will be holding courses at strategic locations, hoping this will make the trainings more convenient and easier to attend than offering them only in Boulder. If there is interest and positive feedback, we will expand the program in the future. Allen O'Bannon will be the lead instructor. Allen is a seasoned mountaineer, guide, and has more than 20 years of experience teaching field courses for the National Outdoor Leadership School (NOLS). He also has extensive polar experience in the Arctic and Antarctic and he is the author of: Allen and Mike’s Really Cool Backcountry Ski Book; Allen and Mike’s Really Cool Telemark Tips and Allen and Mike’s Really Cool Backpackin' Book.